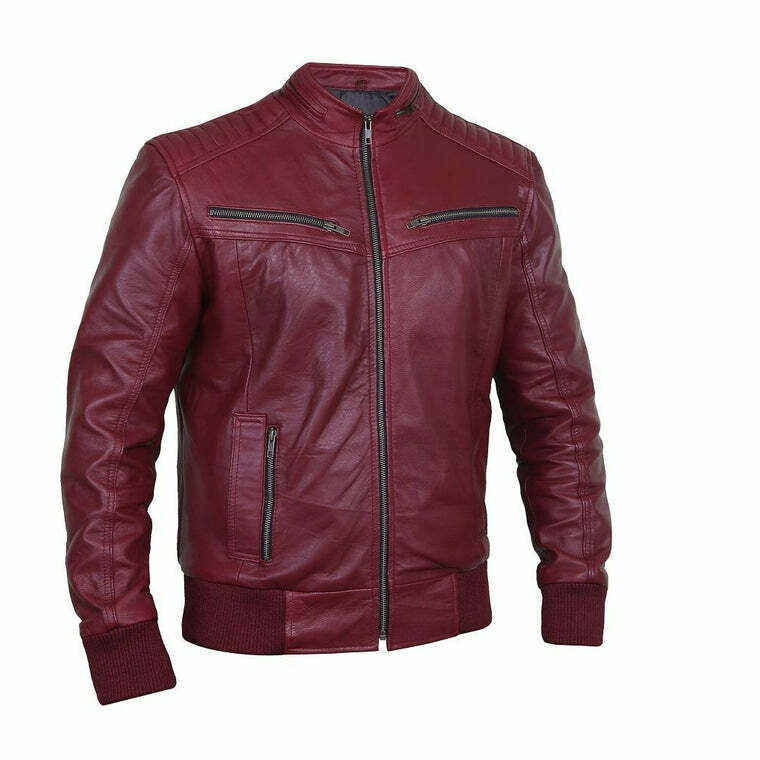 Feel good all day in this leather jacket. 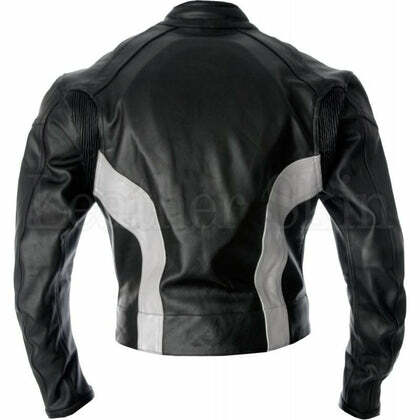 Make way for this motorcycle jacket specially designed for men who love to race. 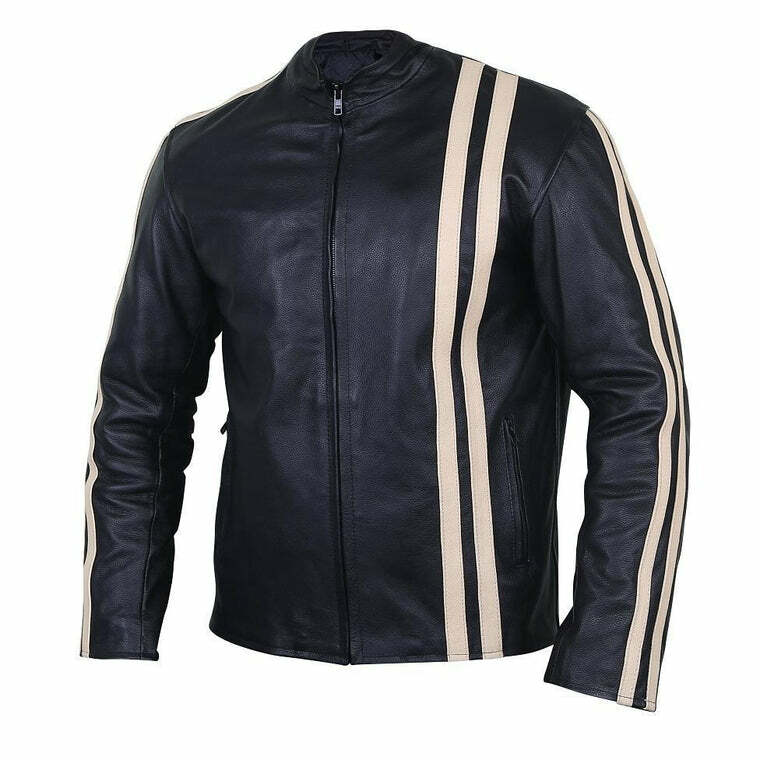 Tailored to perfection, it effortlessly displays class and spirit by combining white stripes on the body and sleeve with finesse. 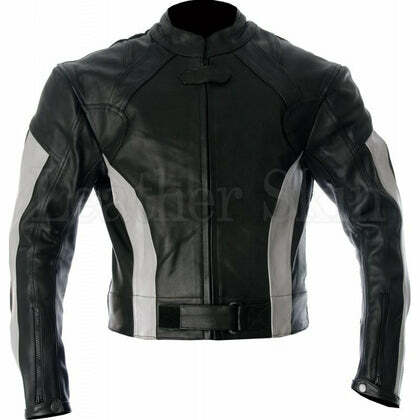 Velcro straps at the waist (front and back) create a perfectly fitted jacket, ideal for those high-speed rides on the highway. 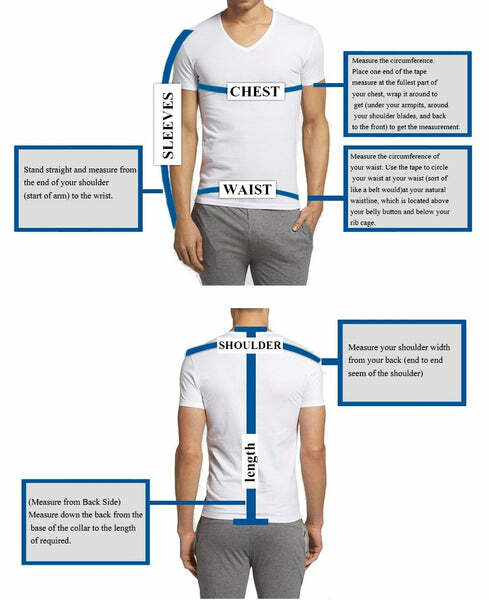 To top it off, the sleeves zip shut and close securely with a snap button. Alter your personality and look sturdy wearing this black and white biker leather jacket. 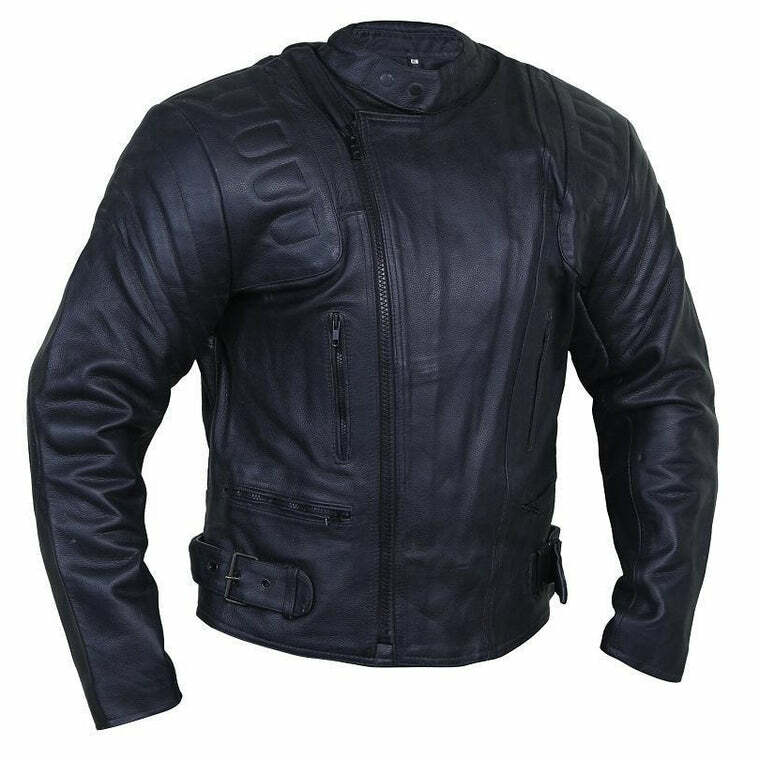 The outerwear is manufactured from genuine leather, providing extra durability. 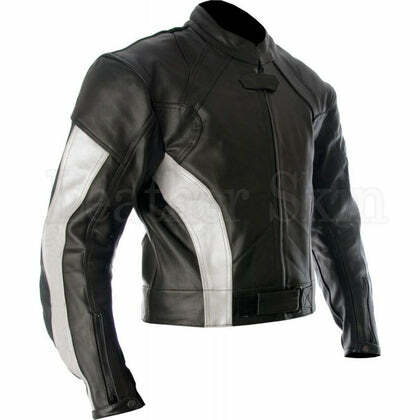 So, go and get the look of a real rider with this jacket. 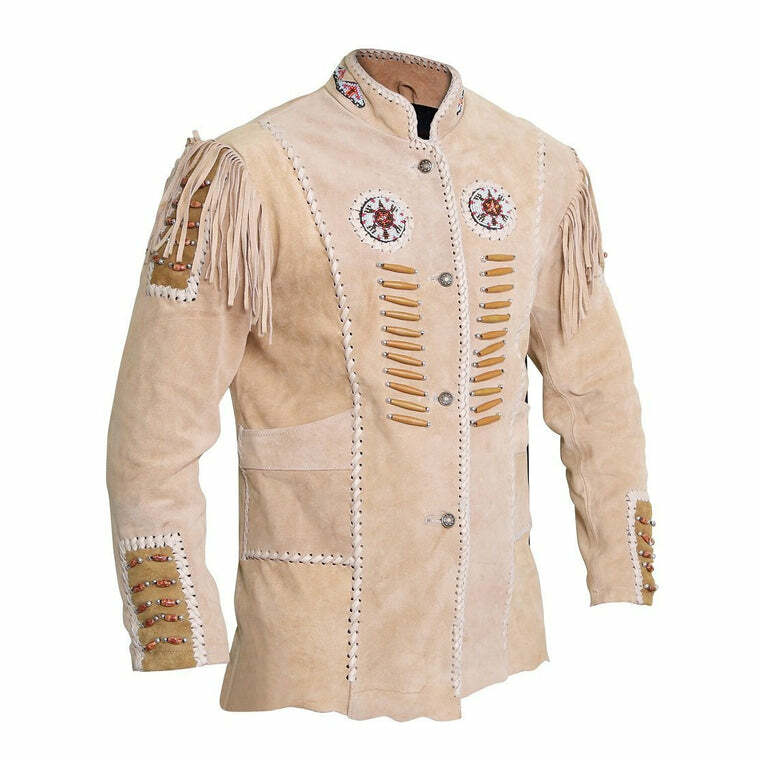 Very slow delivery, but I did eventually get the product.